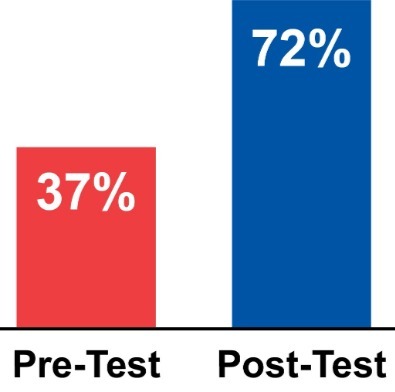 Academic rigor and student growth in Bible content knowledge is measured with pre- and post-tests. These formative assessments are conducted county-wide for every Bible History course and in every school in which Bible History electives are offered. Given prior to and at the conclusion of each course, academic gains are measured by quantifiable data that provides valuable information relative to student growth, Bible content mastery, and academic achievement. Pre- and post-test results reflected here are the cumulative average of 4,068 students, in 23 schools, who completed Bible History elective courses in Hamilton County public schools during the 2017-2018 school year.